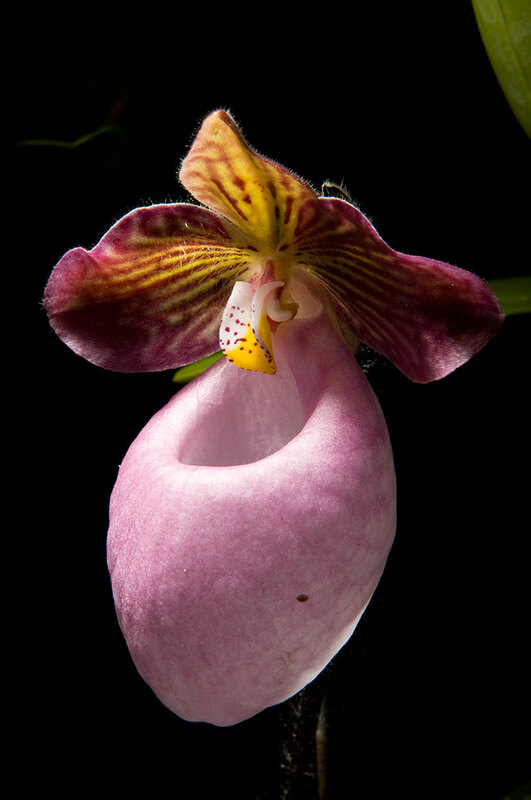 What was the name of the chemical Ann had mixed into the water she was soaking the Paph in? Anne used Physan20 virucide. Thanks for your question! ORCHIDS: Adult plants, use 2 tsp. Physan 20 per gallon of water. Spray anytime disease other than rot is evident. Spray once per month as preventative maintenance. Soak compost when fungus is evident. For other uses of PHYSAN 20 with orchids, refer to Insert #2. I used to have pink Lady Slippers grow wild in 2 wooded sections of my yard. Unfortunately, I believe deer have eaten them. I would love to see video showing microscope x-sec. photos of the roots, stems and leaves of Phalaenopsis orchids. I have not found any good photos with labels of these parts. I would love to see short videos of each part showing the tissue along with a brief description of the physiology of each tissue type. Also, a short video describing and explaining the nutritional needs of the plant would be helpful to many Phalaenopsis orchid enthusiasts. A listing of both the macro-nutrients and micro-nutrients along with what the orchid does with them would be helpful in growing orchids. Also helpful in understanding orchids would be how the orchids get them in “the wild”. Thanks for the comment, Richard! I’m sorry there are no current plans to do more orchid videos. Next Next post: Who’s On Air?